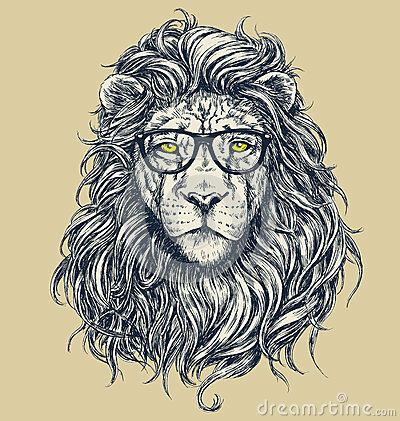 Hipster lion vector illustration. Glasses separated. Hipster lion vector illustration. Glasses separated.